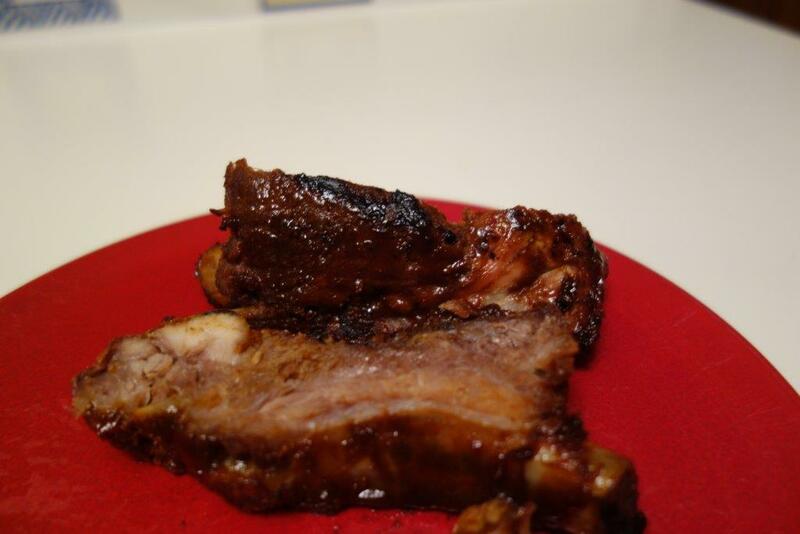 These ribs are in my family’s “top 5” foods I cook. They are fall-off-the-bones tender and flavourful without being spicy. Make the rub and apply it to the ribs. 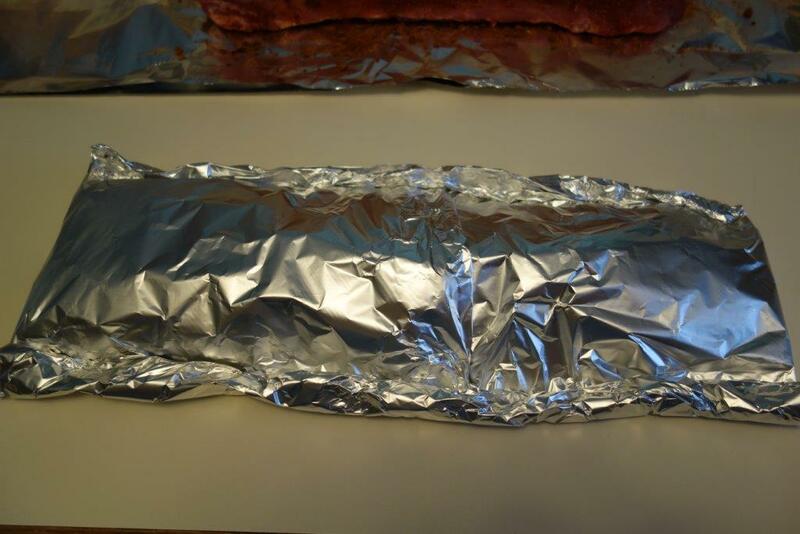 Wrap the ribs in foil and place them on a baking sheet or on the bbq grill. Cook at 300F for 1 ½ – 2 hours in the oven (or bbq), depending on how meaty the ribs are. 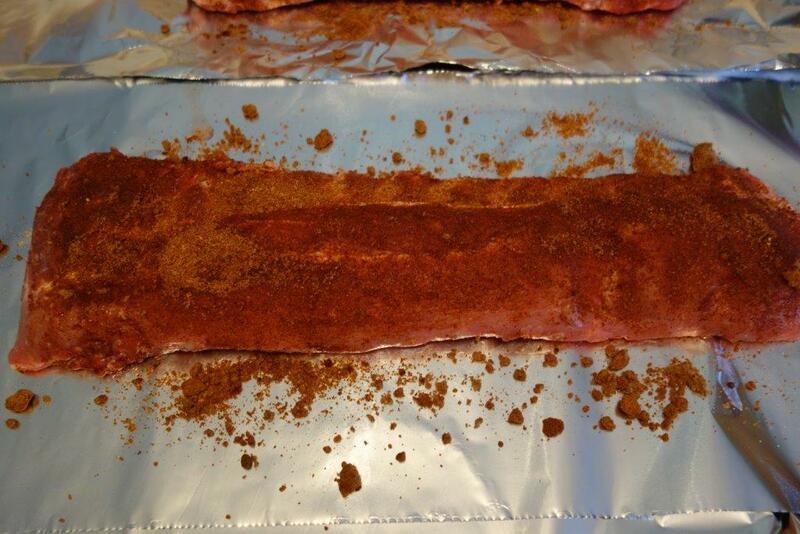 At this point, you can cool and refrigerate or freeze the ribs for later use. I usually buy a package of two racks, use one immediately, and have the other in the freezer for a speedy meal another day. If you want to eat them right away, remove the foil and apply the sauce to top of ribs and either bbq or put under the broiler in the oven. Flip ribs and repeat. Flip and repeat once more finishing on the top to make them look good. My daughter likes me to reserve a bit of the sauce for her to use as a dip for the ribs. 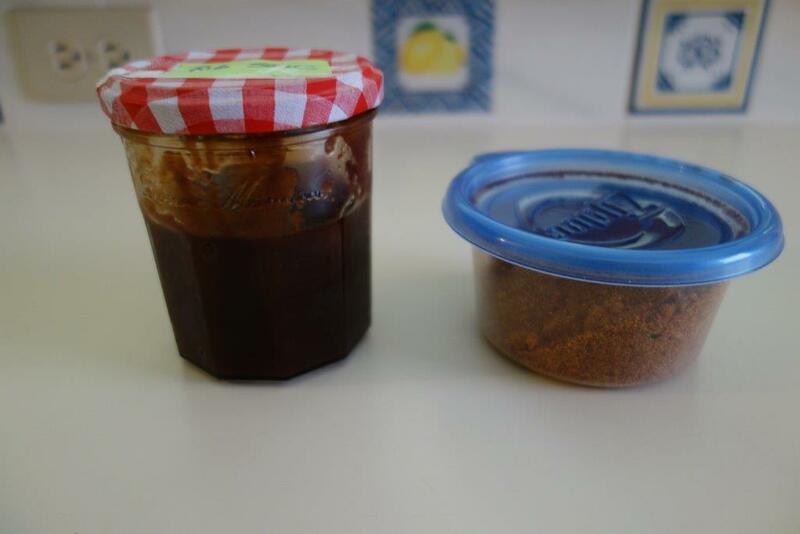 You will have leftover sauce which can be saved for the ribs in the freezer, or used on chicken for another meal. Oh boy! I cannot WAIT to try these on Saturday. Lucky me!